The year 2014 is at an end. It was a year of unpredictable and consequential crises, especially in Africa, the Middle East, Eastern Europe, and the Asia-Pacific. But it was also a year of progress, including in the climate change and security space. Below is a list of the top 1o climate and security topics of 2014 on the Center for Climate and Security blog. They’re worth another look! 10. Lebanon on the brink of a resource crisis? 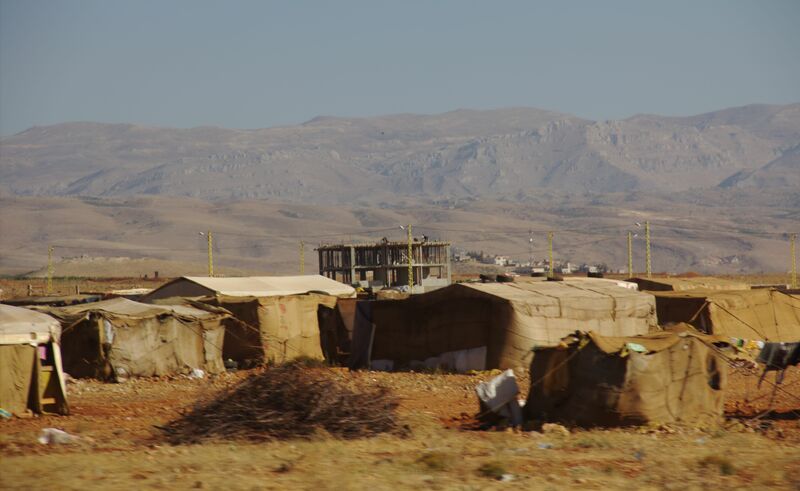 : A guest post by Joanne Lucas on Lebanon, covering climate change, dry winters and springs, poor water management and influxes of refugees from the Syrian crisis. 9. Brazil: Water Woes, Climate Change and Security: A blog from our Senior Research Fellow, Lieutenant Commander Oliver-Leighton Barrett, USN (ret), exploring Brazil’s recent devastating drought, extreme water shortages, climate change and the possible effects on global food security. 8. Homeland Security and Climate Change: Excerpts from a Senate Hearing: A summary of a Congressional hearing on the homeland security implications of climate change. 7. Four-Star Warning: US Military Refuses To Be ‘Too Late’ On Climate Change: Excerpts from an impressive Op-ed from Center for Climate and Security Advisory Board members General Anthony Zinni, USMC (ret), General Ronald Keys, USAF (ret) and Admiral Frank “Skip” Bowman, USN (ret), on the U.S. military’s refusal to be “too late” on climate change. 6. New Report: U.S. Military, 3D Printing and Climate Change: A Briefer on how 3D printing can be utilized to address climate change risks, which also highlights the role the U.S. military has played in advancing the technology for enhancing both military readiness and operational effectiveness. 4. Admiral Locklear: Climate change the biggest long-term security threat in the Pacific region: A blog highlighting comments by Admiral Samuel Locklear III, head of U.S. Pacific Command, wherein he noted that climate change presents the greatest long-term risk to the Asia-Pacific region. Though his comments were made in 2103, people remained very interested in them in 2014! 3. Climate Change and National Security in the 2014 Quadrennial Defense Review: A summary of the climate change (and climate-related) sections of the U.S. Department of Defense’s 2014 Quadrennial Defense Review (QDR). 2. Rear Admiral Neil Morisetti to the EU: “Failure to set a robust 2030 climate target will hurt our national security”: A short blog highlighting comments by Rear Admiral Neil Morisetti, the UK’s former Climate Change and Energy Security Envoy. 1. Syria: Climate Change, Drought and Social Unrest: For the third year in a row, our February 2012 report on climate change and natural resource dynamics in Syria before the revolution continues to generate overwhelming interest from our readers. By Caitlin Werrell and Francesco Femia in climate and security on December 31, 2014 . Thank you for the information. I am convinced that in the new, 2015 will necessarily serious practical success – to reduce the risks of climate change. We – just do not have time to even afford to engage in passive thematic contemplation. If we do not – then who ?? With best regards and respect!